One of the Premier League’s most talented goalkeepers and part of City's title-winning team in 2015/16, Kasper joined Leicester in 2011 from Leeds United. Kasper joined Leicester from Leeds United for an undisclosed fee in June 2011 and has since enjoyed a magnificent career at King Power Stadium. The Dane earned his trade in the ranks at cross-city rivals Manchester City and was handed his Premier League debut in August 2007. 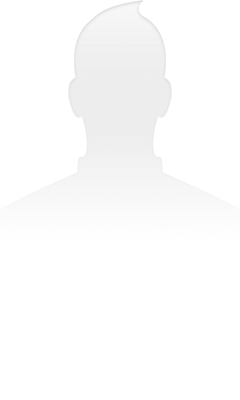 He made nine further first team appearances between loan spells with Darlington, Bury, Falkirk, Cardiff and Coventry, before finally departing Eastlands in 2009, when Sven Goran Eriksson, recently appointed director of football, took him to Notts County. During his solitary season at Meadow Lane, Kasper provided the foundation for the Magpies’ 2010 League 2 triumph, playing 43 league games and earning a place in the PFA Team of the Year as County were promoted to League 1. He then joined Championship side Leeds on a free transfer that summer and made 40 appearances during his only campaign at Elland Road, culminating in his first call-up to the senior Denmark squad in May 2011. 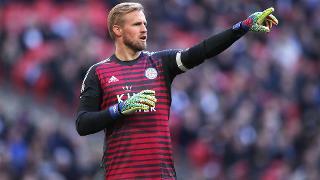 Named Player of the Year and Players’ Player of the Year at the end of his first season with Leicester in 2011/12, Kasper’s outstanding performances were further rewarded when he was called up to Denmark’s Euro 2012 squad. The 2012/13 campaign again proved to be one full of stellar performances from the Dane, whose saves rescued the Foxes on countless occasions – his wonder stop against Blackburn at King Power Stadium in February 2013 earning him the Champagne Moment at the end of season awards. City’s only ever-present that season, Kasper’s outstanding and consistent performances were recognised by the national side on 6 February, 2013, as he made full debut for Denmark in a friendly match against Macedonia, before being named in the PFA Championship Team of the Season. In 2013/14, Kasper’s consistent performances saw him again named in the PFA Championship Team of the Season as an ever-present, resulting in a number of clubs seeking his signature in the summer. In the Premier League, Schmeichel continued to excel in 2014/15. After missing several months with a foot injury, he returned to the side in fantastic form to play his part in the team’s survival. In April 2014 Schmeichel was voted into the Football League’s Team of the Decade alongside team-mate and captain Wes Morgan. It was perhaps during the 2015/16 campaign that Kasper most impressed. His 15 clean sheets – bettered only by Arsenal’s Petr Cech – helped the Foxes storm to their first-ever Premier League title. Kasper signed a new contract in August 2016, keeping him at the Club until June 2021, and he enjoyed a productive following season. He was named both Players' Player and Player of the Year at the 2016/17 Season Awards, having shown incredible consistency throughout the term. The following season, Schmeichel continued to show world class qualities, playing 33 times in the Premier League and keeping eight clean sheets in the process. He made a brilliant penalty save at 0-0 against Brighton & Hove Albion in March 2018, before the Foxes went on to win the game. Kasper missed the final five fixtures of the 2017/18 campaign with an ankle problem. He was named in Denmark's 23-man 2018 FIFA World Cup squad. 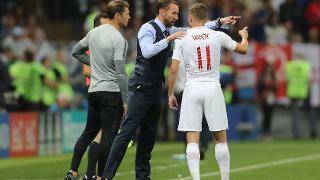 In Russia, Schmeichel continues to show his excellent abilities, saving three penalties in Denmark's Last-16 defeat by eventual finalists Croatia. Following the tournament, the Dane was also nominated among the top three in the FIFA Best Goalkeeper awards.